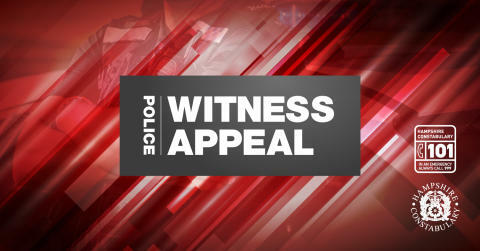 We are appealing for witnesses after a man was knocked unconscious during a robbery in Andover. Between 7am and 7.35am on Saturday 13 October, the 18-year-old victim was walking along Colenzo Drive when he was approached by four men who demanded he hand over his property. The victim was then assaulted by the group, suffering an arm injury and temporarily losing consciousness. The group then made off with the victim’s wallet, which contained cash and bank cards. Officers would like to hear from anyone who witnessed the incident, or saw a group of people acting suspiciously in the Colenzo Drive and March Close areas around this time. If you have any information, please contact us on 101, quoting 44180385558, or call the charity Crimestoppers anonymously on 0800 555 111.